Welcome to Ian Baum's blog! This is Primarily used for art and mostly just houses Ian's art-like projects. Periodically Ian's culinary innovations will be posted here as well. 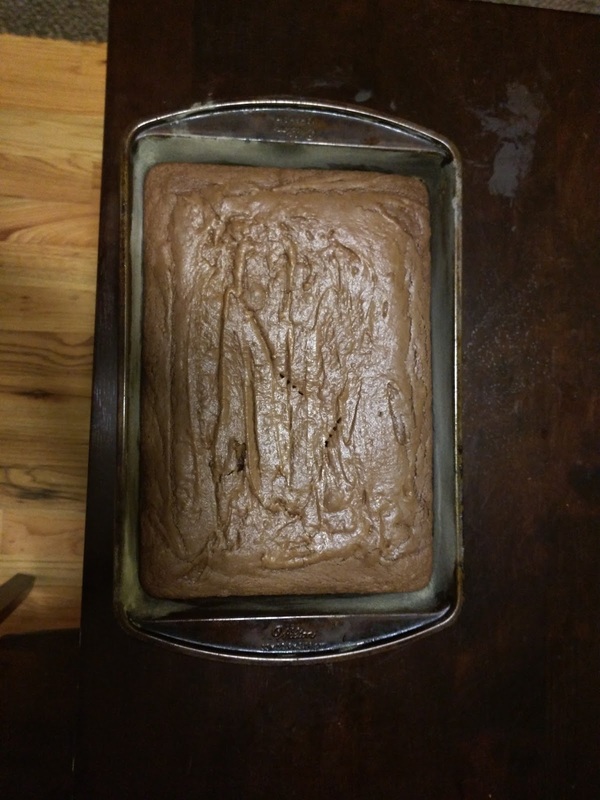 Yields 1 9 X 13 pan of brownies. + approx 1 TBSP of fat and 1-2 TBSP of flour for pan. 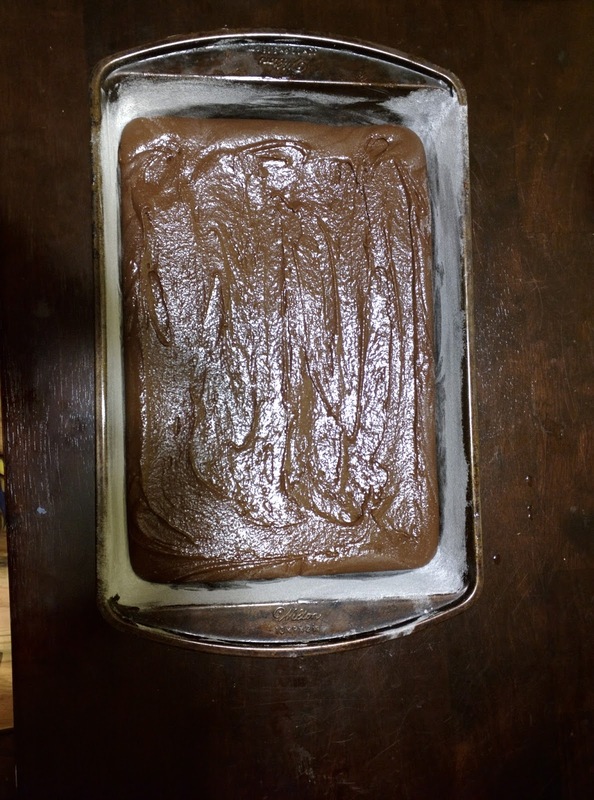 This Brownie Recipe comes from my Brother Shad, he made it many years ago, and it is still my Go-to Brownie recipe. This recipe makes the best Brownies there are. Period. A word about the fat. 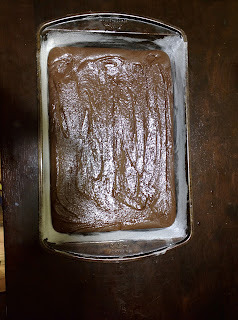 shortening, butter oils, even margarine work in this recipes fine, but if you want a make cake-like brownie use butter or margarine; using oil results in a denser chewier brownie. my preferred choice is using a mixture of 1/2 C Butter(can be melted) and 1 C vegetable oil or shortening. 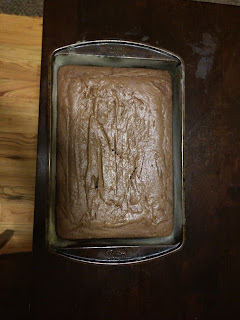 this way you get the Delicious Butter flavor and the chewy moist brownie texture that I love(and expect from brownies). 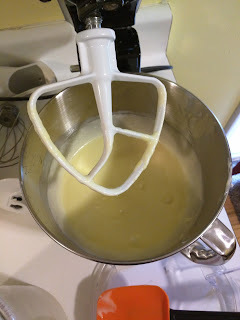 2) with your mixer on low add eggs on at a time, waiting until the egg starts to incorporate before you add the next. 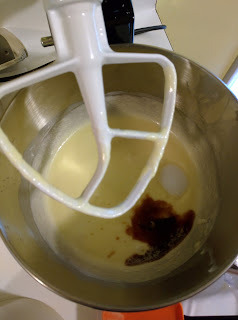 3) next add vanilla and salt, lightly mix. 4) In a separate bowl sift together the dry ingredients(not pictured). 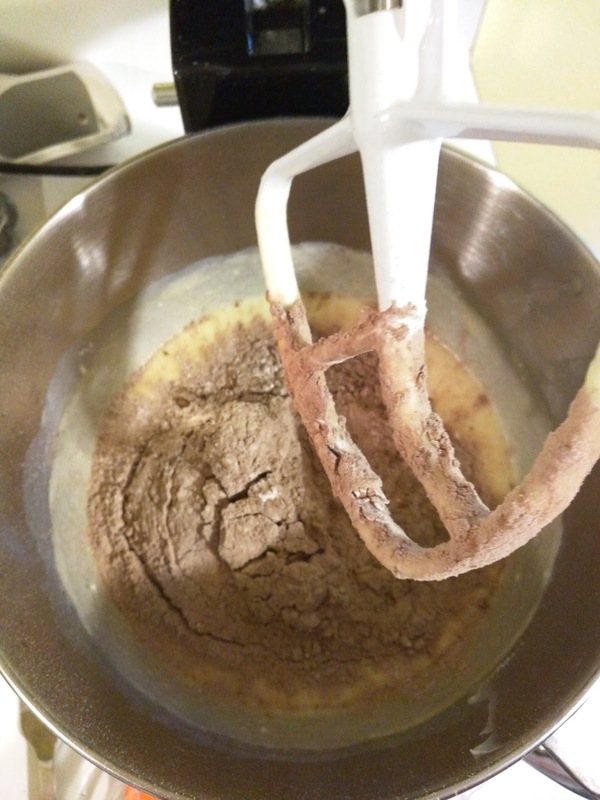 Pro Tip: If you want chewy brownies Avoid over mixing, any air you add by blending will stay in the batter; however, if you are after very cake-y brownies, mix the batter like you would any cake batter. 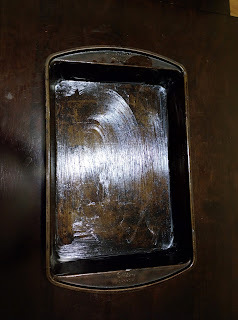 6) It is now time to prepare the pan, first take a small amount of fat(I have found solid fats work best for this) and liberally coat the sides and bottom of pan. This takes no more than about a TBSP of fat. 7) Put 1-2 TBSP of flour in pan. 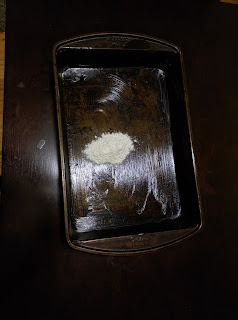 8) Tilt the pan while tapping it to coat the sides and bottom of your pan evenly with flour. 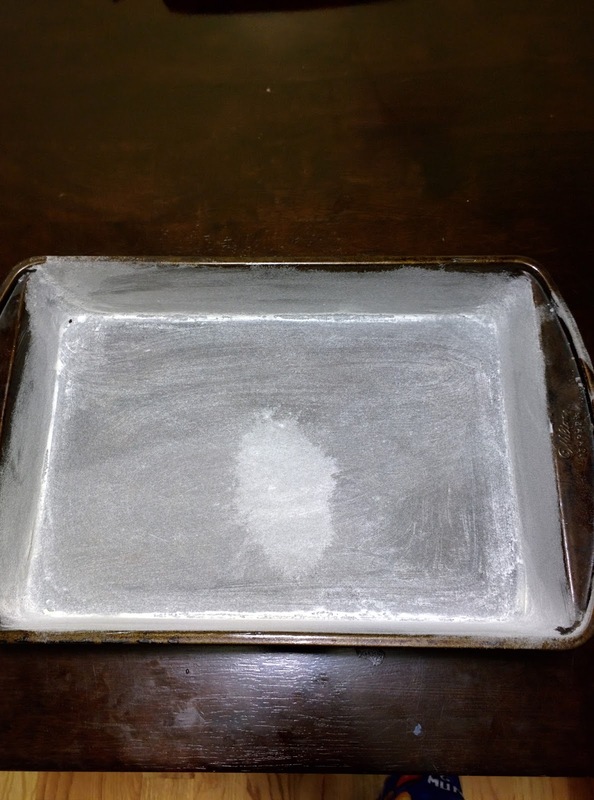 after the pan is coated well, invert pan and tap out any excess. 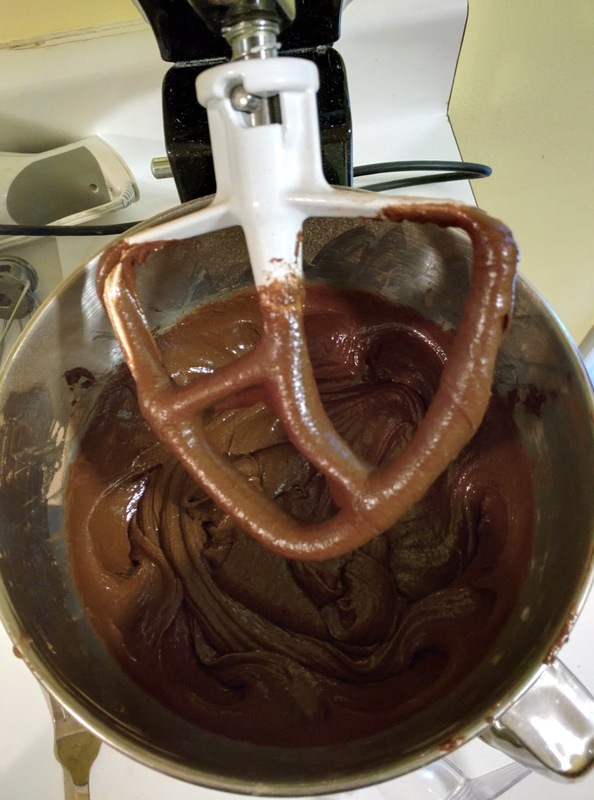 9) pour batter into prepared pan, using spatula evenly distribute batter, careful to make sure the batter is all the way up against the sides. Tapping the pan on a hit flat surface once or twice can help settle uneven areas. If you want to avoid having thicker brownies in the center, you can spread the batter SLIGHTLY thinner in the middle. 10) Bake 350°F for 20-25 minutes, until a toothpick/probe comes out clean. I usually check it starting at 15-18 minutes and, using my best judgement, every few minutes thereafter. 11) Cool for at least 10 minutes, before cutting, or frosting.